We offer a wide range of hotels near Brooklyn Nets from cheap accommodation to up market luxury hotels. Search our database of hotels to find the lowest rate for your stay closest to Barclays Center. 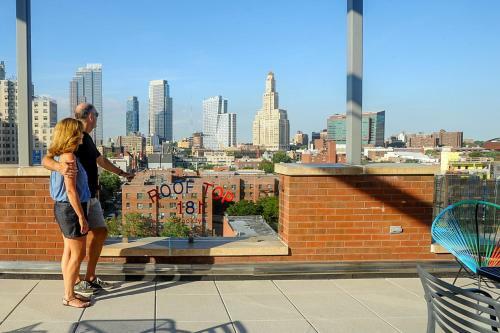 Set in Brooklyn in the New York State Region, 700 metres from Barclays Center, EVEN Hotel Brooklyn features a terrace and views of the city. Guests can enjoy the on-site restaurant. Each room includes a flat-screen TV with cable channels. Located in the heart of the restaurant district and within walking distance to the Barclays Center, this Brooklyn hotel is easily accessible to Union Street, subway stations, the Long Island Railroad and the corporate offices of Metrotech. .
Just 25 minutes to Manhattan by train, Fairfield Inn & Suites by Marriott New York Brooklyn is located 1 block from Park Slope, Brooklyn. Prospect Park, the Brooklyn Botanic Garden and the Brooklyn Museum are all within 1.5 km. This design hotel is located in the center of the vibrant BoCoCa district, 2 blocks from the Hoyt-Schermerhorn Street Subway Station. It offers green accommodations, free Wi-Fi and 24-hour gym. 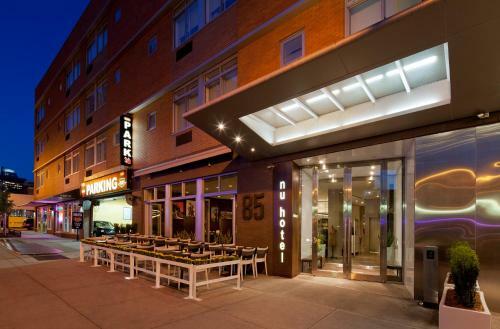 This hotel is located in the heart of Downtown Brooklyn and is a 10 minute walk from the Atlantic Terminal underground station. Facilities include free Wi-Fi access and modern decor. Barclays Center is 1.3 km away.